This is a collection of highly modified photos and original Photoshop creations. 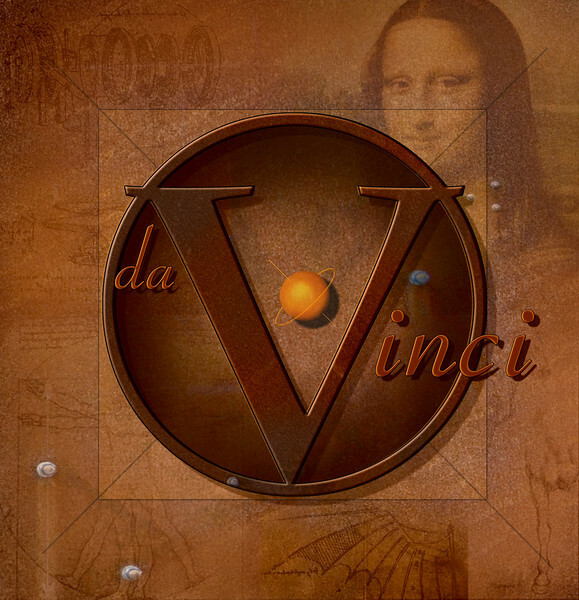 "DaVinci" is an original work inspired by an article in the June, 2006 edition of Photoshop User Magazine by Daniel Sorenson. I started with his basic idea and enhanced it somewhat with the semi-transparent background images of selected DaVinci works. The only photograph used in addition to the background images was a rusty metal texture file. All graphics, shading, and 3-D effects were created from Photoshop primitives. All of Leonardo's images were gathered from a brief Google images search.